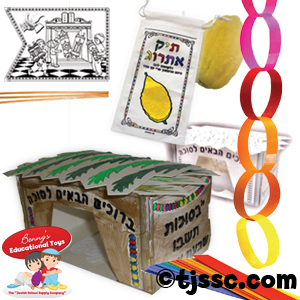 Sukkot & Simchat Torah toys & learning materials and teacher's supplies for Jewish teachers, parents and grandparents. 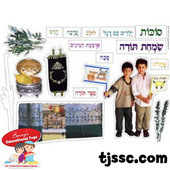 Buy Sukkot & Simchat Torah arts & craft projects, Sukkot posters & decorations, sponge painting, stencils, puzzles, foam shapes, stickers, sand art, games, imaginary play. 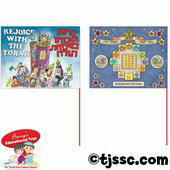 Best bulk pricing on Simchat Torah flags!